Purchasing a 5.1 theater system can feel complicated - multiple components, speaker wire, placement, and the list goes on. 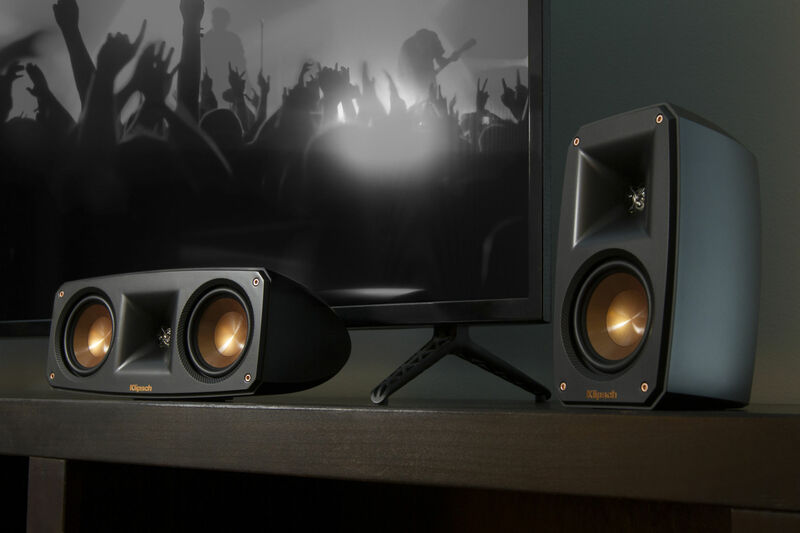 Klipsch Reference Theater Pack takes the guess work out of building the perfect surround system. The Reference Theater Pack all in one 5.1 surround theater system delivers superior acoustic performance by leveraging Injection Molded Graphite (IMG) woofers. These exceptionally lightweight cones are extremely rigid – providing remarkable low frequency response, with minimal cone breakup and distortion. Our exclusive Tractrix® Horn Technology and aluminum tweeters deliver impressive high-end response, great extension, enhanced imaging and powerful dynamics, to create the cleanest, most natural sound possible. The down-firing wireless subwoofer is designed to deliver room-filling low frequencies without requiring too much floorspace. The 2.4GHz connectivity allows for premium, CD-quality sound anywhere in the room. Simply connect the compact, pre-paired transmitter to the subwoofer or LFE out on your receiver and place the subwoofer where it sounds and fits best in your room. The built-in all-digital subwoofer amplifier delivers ample power with high efficiency and true-to-source accuracy. To complement the easy placement of the wireless subwoofer, each satellite speaker has a keyhole mount and a ¼” x 20 threaded insert (the center channel has dual keyhole inserts) for maximum mounting flexibility. In conclusion, Reference Theater Pack is the perfect small footprint solution that breathes a whole new life into your living room, without being overstated.